Can you please cover your mouth and nose? It is that time of the year when most people easily catch colds and the flu. There are millions of people riding the trains, buses and traveling on the airplanes every day. We are aware the nasty germs and viruses linger everywhere. 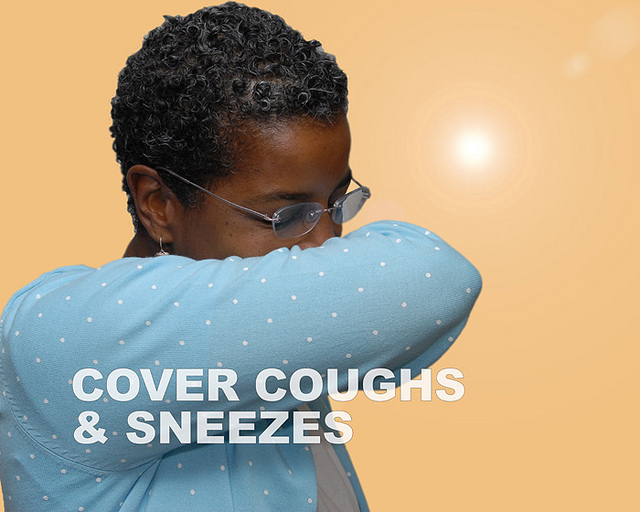 When a person coughs or sneezes without covering their mouth then the next person may get sick from breathing in the same air the person spread his/her germs. How can people protect themselves from not getting the cold or the flu? How many times have you sat next to a person and suddenly that person sneezed or coughed without covering their mouth or nose? Did you accept it? Did you ask the person to cover his/her mouth and nose? It is not rude to make that request. Chances are the person’s germs and virus was able to travel in you. If your immune system was not strong enough to fight the germs and virus then you may get sick. Who wants to be sick?